Moisturizers are not only an integral part of nail services for your clients, but you also rely on them to keep your own skin hydrated, healthy, and beautiful. You know they work — your skin may become tight, dry, and flaky when you don’t use them — but do you understand how they work? 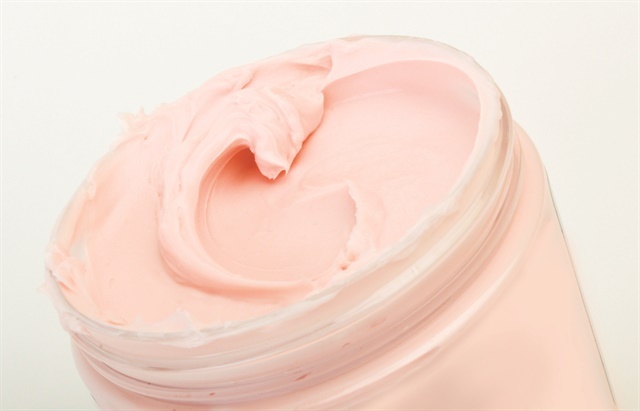 In general, three different types of substances are combined to create a product that has the ability to moisturize: emulsifiers, humectants, and occlusives. Emulsifiers: “Moisturizers are composed of a mixture of water-soluble ingredients and oil-soluble ingredients that will not mix without emulsifiers, substances that are both water loving and oil loving at the same time,” explains Dr. Vivian B. Valenty, president of VB Cosmetics, Inc.
Humectants: The water-soluble ingredients, humectants, can absorb moisture from the air and keep the skin hydrated, as they penetrate the outer layers of the skin and help the skin cells retain moisture. Occlusives: The oil-soluble ingredients, occlusives, keep moisture in by lowering the trans-epidermal water loss, as they form a thin film to serve as a barrier to prevent water evaporation through the skin. Now that you know the basics, you may be wondering if there are particular types of moisturizers you should be looking for. Board-certified dermatologist and nail specialist, Chris Adigun, MD, suggests looking for products that contain hyaluronic acids and ceramides (proteins that assist in maintaining moisture). Hyaluronic acid maintains skin’s elasticity and moisture by creating a moisture barrier on the skin when used topically. Ceramides, lipid molecules that re found in high concentrations within cell membranes, strengthen the skin’s natural barrier, protect it from environmental factors, and restore moisture. 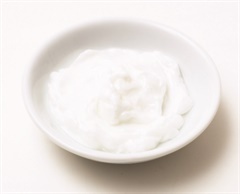 There are many quality ingredients that can go into a moisturizer, and different professionals have their favorites. Nellie Neal, Master Pedicurist and Podologist, and owner of Get Nailed by Nellie in Minnetonka, Minn., is a big fan of the ingredient urea. “Urea is anti-bacterial, anti-fungal, anti-microbial, anti-pyritic, and pH-balanced,” Neal says. “It delivers the product into seven layers of the epidermis and acts as a water barrier so that essential nutrients do not wash out of our bodies.” Neal says that over that last few months he has been using LCN’s Urea line and closely documenting his clients’ feet with before-and-after photos. “I’m noticing significant changes in the texture, appearance, and health of their skin,” he notes. Neal also suggests looking for other effective ingredients, such as green tea (anti-inflammatory), shea butter (healing), almond oil (emollient), vitamin A (anti-aging), vitamin E (antioxidant), and lactic acid. He shuns parabens, animal fats, and formaldehyde. Valenty advises applying moisturizers after each time skin is washed or at least twice a day (morning and night). It is important to know the scope of your allergies and chemical sensitivities and avoid any irritants, she warns. Stop using a product at the first sign of an adverse reaction. Urea: Urea is a compound naturally produced by the body and found as a moisturizing factor in the outermost layer of the skin, along with lactic acid and amino acid. Dry skin results from lack of normal amounts of urea in the skin. Silk Peptides: Comes from silk fibers and is produced by silkworms. Silk proteins or peptides are easily absorbed by the skin and hair, provide moisture and help retain it, protect skin from dehydration, and give it a smooth, silky feel. Vitamin E: Vitamin E is a fat-soluble antioxidant, also known as tocopherol. Vitamin E helps maintain oil balance in the skin, and helps slow or reverse the effects of sun damage. Vitamin E is also said to minimize wrinkles. 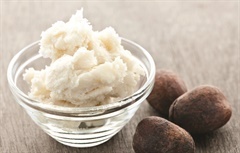 Shea Butter: A natural moisturizer in butter form from the nut of the shea tree, containing vitamins A and E. Shea butter enhances the skin’s natural barrier function. Jojoba: Jojoba is an emollient for skin and hair that is obtained from the nut of the jojoba shrub. Jojoba is a liquid wax that is highly penetrating and has anti-inflammatory and antioxidant qualities.